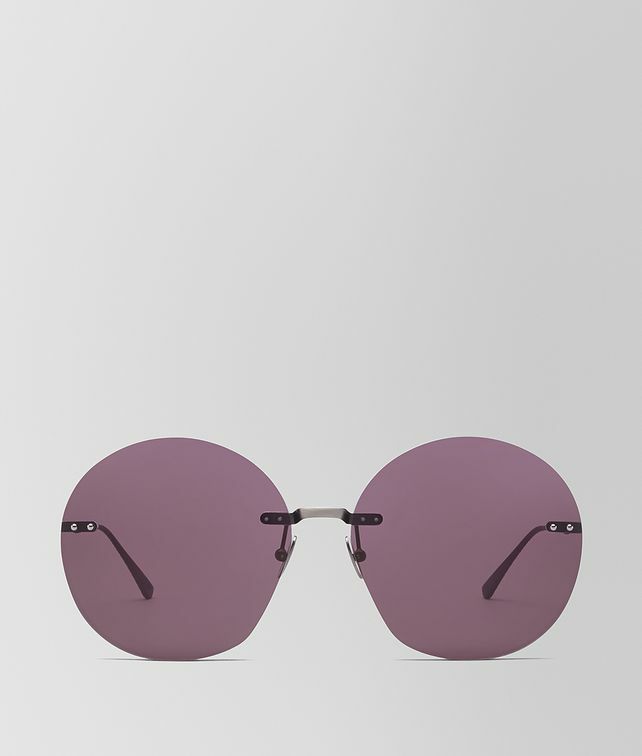 These outstanding sunglasses play with innovative volumes: the lightweight silver-tone frame is crafted to an eye-catching round shape, with bold 4 mm-thick lenses. The shiny violet coating enhances the modern, sculptural look. The ultra-thin temples are detailed with the iconic intrecciato motif and finished with enamelled tips.